For those homeowners faced with a complete roof replacement in Crossville, Tennessee, finding the right roofing company is critical in order to ensure a quality result that will stand the test of time and restore a storm-damaged home to its original condition. While cheaper bids might seem appealing, homeowners need to think about price versus value when making their final decision. Roof replacement represents a significant financial investment, and compromising quality for price should never be a consideration. Crossville residents should keep the following in mind when choosing a professional roofer. 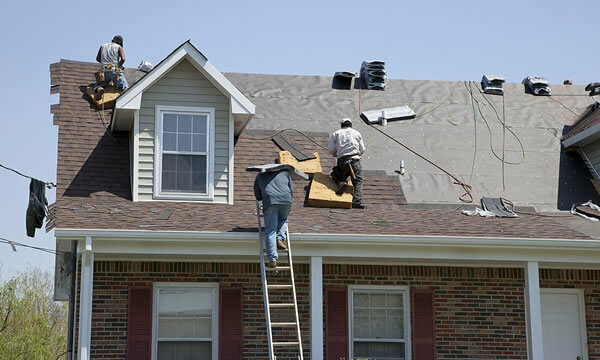 Filing an insurance claim can be a daunting task, and homeowners should always consider quality roofers who have experience with insurance related roof replacement in Crossville, Tennessee. In almost all cases, a reputable roofing company will be able to complete the project for whatever figure the insurance company has agreed to pay. Even in those cases where the replacement cost exceeds the estimated cash value, your roofer should be able to recover those costs directly from the insurance company. Homeowners should use caution when considering bids that are significantly lower than the insurance adjuster’s estimate. Not only could quality of workmanship be a potential issue, but it could be interpreted as profiting from the insurance company, which may have unfortunate consequences for the homeowner. A complete roof replacement in Crossville, Tennessee is a considerable investment both financially and emotionally, and finding a trustworthy contractor is an absolute must. It’s important to avoid “storm chasers” who suddenly appear when your home has been damaged by a major weather event. While discount roofers might seem attractive in the wake of a tragic storm, they will often use substandard materials and poor quality workmanship to get the job done. When quality over price matters, how does your prospective roofing company stand up? Where will your contractor be once the job is completed? Finding a local roofer that’s invested in their community means a contractor that will be available to service their customers and offer warranty work should it become necessary. Established roofing companies may command higher prices for their services, but these prices are backed by a quality product and a guarantee to be available when you need them most. A professional roofer will have no issues when it comes to providing references from former clients and professional organizations. Homeowners should make every effort to contact these references and inspect previous projects whenever possible. It’s important that your roofing contractor is covered by workman’s compensation and liability insurance. This is generally not the case with a fly-by-night roofer who is offering the lowest bid. Without insurance, an accident on the job can be financially devastating for any homeowner. Are they a certified roofing contractor? A cheap estimate from an unfamiliar contractor may be an indication they are using substandard materials. A professional roofer who is certified by manufacturers or organizations will only use quality products for your roof replacement project. Our years of experience with insurance-related roof replacements offer Crossville residents peace of mind knowing their home, and their family’s safety is in the best possible hands. If you’re looking for a value-based roofing company that prides itself on quality workmanship and unwavering customer service. call us today to get a free inspection and we promise to provide you the best available services in the market today.